At Opera Australia, we are encouraging senior secondary students across regional Australia to dream big, with the Regional Vocal Scholarship. Year 11 and 12 students from regional areas (eligibility below), interested in opera or musical theatre, are invited to apply for this wonderful opportunity. 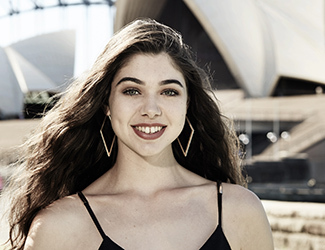 The four successful students will receive the Scholarship prize of a week-long visit to Sydney in January 2020, where they take in amazing opportunities including exclusive workshops with industry leaders, tickets to world-class performances at the Sydney Opera House, and the chance to perform for Artistic Director Lyndon Terracini and Opera Australia’s guests. Applications are submitted using the online form, and each student should provide two videos singing an opera, classical or musical theatre piece. Opera has the power to move, to change lives, to touch something great in us all, and make us recognise in ourselves what it is to be human. The experience of watching and participating in live performance are unique and unforgettable, and should be available to all. Round One applications are currently open, and close on 28 June 2019. 2x links to audition pieces. The pieces should be operatic, classical or musical theatre in style. The links should be hosted on vimeo or YouTube only, must be unlisted or private with passwords provided. Each video should be no more than 5:00 minutes long. Following this round, some applicants will be invited to submit another video for Round Two. All applicants should receive communication by mid-September telling them if they have been invited to re-submit. The four successful applicants will be notified in November, and are invited to attend the 2020 Scholarship Week. 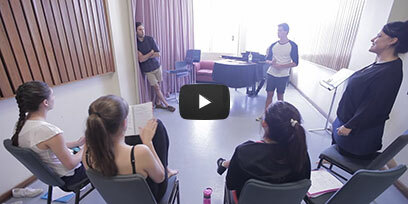 This week includes, among other things, voice and acting training with professional Opera Australia staff, an insight into the opera and musical theatre industries through backstage tours, and an exclusive performance opportunity. Travel, accommodation and meal allowances are provided. Applications for the 2019 Regional Vocal Scholarship are now open. Please apply here. 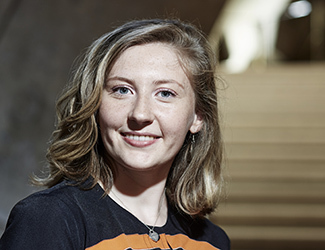 Ellie has been taking singing lessons since she was ten years old, and participated in Gondwana National Choral School in 2018. 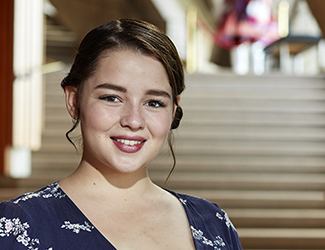 She fell in love with opera after seeing Opera Australia’s 2016 production of The Pearlfishers, and has been striving for a career in opera ever since. She is looking forward to the opportunities afforded to her by the scholarship week, which would otherwise be unavailable from her home in rural Tasmania. 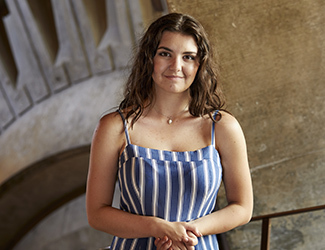 Galatea first began singing and piano lessons when she was four years old, and recently graduated from Newcastle Grammar School with a Music Scholarship. She has performed in over twenty musicals and operas with Opera Hunter, Young People’s Theatre and National Theatre Company. Galatea would one day like to travel internationally as an opera singer, and is especially interested in visiting Germany and France on this adventure. Monique has recently undergone a 2 year musicianship with the Conservatorium of Music, Bathurst, and has extensive experience performing in musicals with Orange Theatre Company and Lithgow Musical Society. In 2017 she was nominated for a Canberra Area Theatre Award for Best Youth Actress in a Lead Role in a Musical. Monique is passionate about opera and classical music and hopes the scholarship week will help her forge a path into these careers. 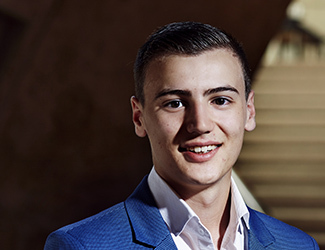 Edward has been singing for seven years and has been the proud holder of the Riverina Conservatorium Major Scholarship for Classical Vocal for the past four years. 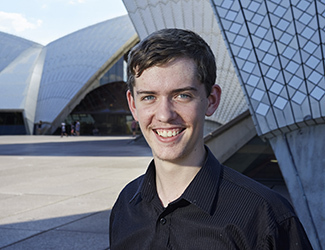 He participated in Opera Australia’s Regional Children’s Chorus program in 2014. Edward was excited to learn more about the opera and classical music industries, but is unable to attend the Scholarship Week in 2019 due to other commitments. Leah has been singing since she was a child and fell in love with Opera after seeing Carmen. She has been taking singing lessons and performing lead roles in school musicals for the past three years and she has performed locally and competitively as part of her school’s choir. Leah has great passion for music and hopes to perform professionally on a Broadway stage in the future. Declan was a member of his schools Centre of Excellence in Drama, Vocal and Choir and attended the NIDA Regional Scholarship in 2015. Declan has performed in the Cairns Eisteddfod, Innisfail Eisteddfod and the Opera Queensland Project Rossini production of The Barber of Seville. Declan was also a member of the Gondwana Choirs 2016 and 2017. Declan is looking forward to seeing where his music will take him in the future. Bonnie has been a member of Gondwana Voices since 2014 and came first in vocal solos at the Albany and Fremantle Eisteddfods. Bonnie was the recipient of the Mary Thompson Award in 2017 and has performed as a soloist for the Albany Sinfonia and the Albany City Wind Ensemble. 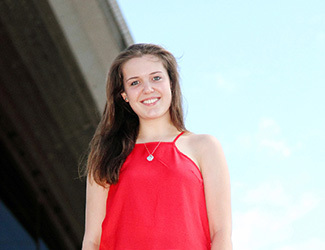 Bonnie hopes to study classical voice at WAAPA and then pursue a career in singing. Maddie has been doing private singing lessons for the past seven years and received numerous first place awards at Eisteddfods in Championship, Classical, and Musical Theatre. She has been involved in school choirs since she was six years of age and is a member of the Brisbane Conservatorium Concert Choir. 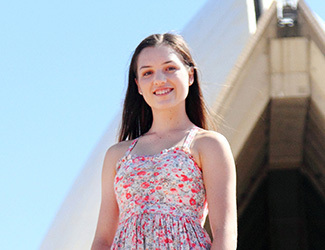 Maddie would love to pursue a career in Classical Voice or Musical Theatre and study at the Conservatorium of Music. 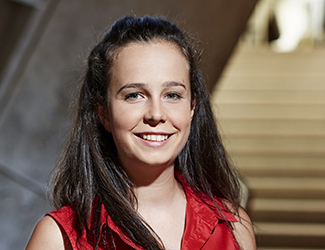 A scholarship winner at the Murray Conservatorium in Albury, Lisette currently studies classical voice and is also a saxophonist in her college band. 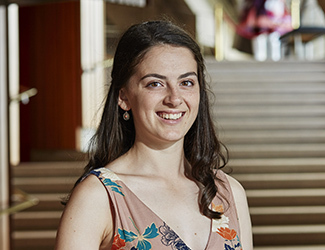 She looks forward to working with Opera Australia’s coaches, repetiteurs and musicians, and working alongside other young opera enthusiasts. She hopes to complete a Bachelor of Music and pursue a career as an opera singer. 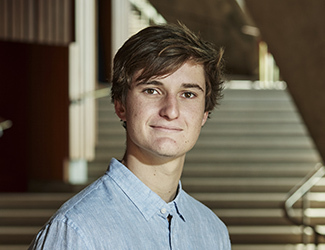 Jeremy has been a member of the Talent Development Project in 2015 and 2016, and a Featured Artist in the 2015 Schools Spectacular. He has also had numerous lead roles in musicals at his high school, including Corny Collins in Hairspray, Emmett in Legally Blonde and Frederic in The Pirates of Penzance. 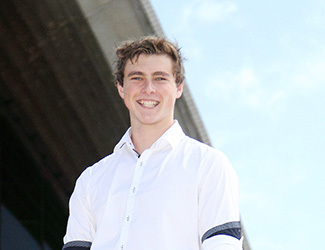 In 2017 he hopes to study at the Sydney Conservatorium of Music, majoring in Classical Voice. In addition to singing, Keelin also takes viola and violin lessons, and has performed in several choirs and as part of her school musicals. 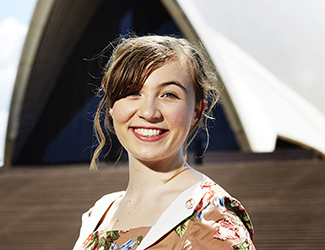 She wants to sing for the rest of her life, and never stop learning or improving her technique, and hopes that working with Opera Australia will give her the opportunity to do so, before embarking on a classical singing career. Katrina has been undertaking singing lessons since 2013, and has been a member of several choirs, as well as the Chorus for Canberra Opera’s productions of La Bohème and Die Fledermaus. In the future she intends to continue singing, and would like to study Classical Voice at a conservatorium before travelling internationally. Nina has been singing since the age of five, and is currently studying with Professor Janet Delpratt. 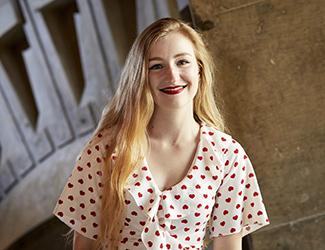 She has performed in her school's production of Annie as Grace, and has been part of the Opera Queensland chorus for Die Fledermaus in 2015 and La Bohème in 2014. She hopes to study classical performance at the Queensland Conservatorium of Music, and would like to further her studies overseas while performing. Ruth has had singing lessons since 2008, and is AMEB Grade 4. She is a current member of her school Chamber Choir, and took part in the Gondwana National Choral School in 2015. 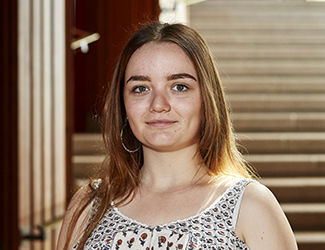 After completing high school Ruth would like to study classical performance at the Sydney Conservatorium and travel to Germany to continue her German studies. Gabriella has been performing for many years, playing Penny Pingleton in her high school production of Hairspray in 2013, participating in the Cairns State High School choir from 2011–2015 as well as the Cairns Young Voices from 2012–2013. 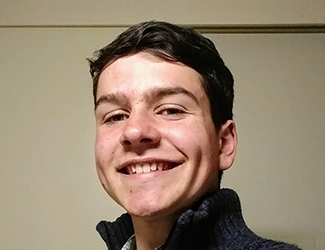 Peter is a member of the Toowoomba Choral Society Youth Choir, and has performed many roles with them since 2009. He is looking forward to seeing the Sydney Opera House for the first time, and to see what goes on in creating Opera Australia’s performances. Peter’s musical inspirations include Victor Borge, Andre Rieu, and most musical comedy. 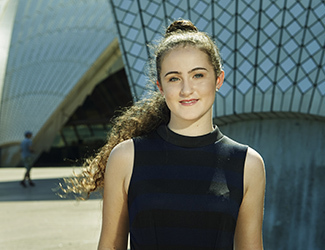 Katherine has been singing for eight years, and recently placed two 1st, two 2nd and two 3rd places at the Sydney Eisteddfod in the vocal sections; and later this month will be competing for the Joan Sutherland Vocal Scholarship. 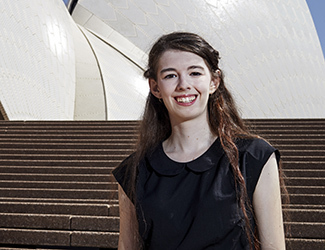 Anastasia is the youngest member to have been accepted into the Tasmanian Symphony Orchestra Chorus (in 2013). She has completed her AMEB Grade 8 singing exams with honours and is preparing for her A. Mus exam. In 2008 she joined the Bel Canto young artists. She is studying at The Friends’ School under a music scholarship covering years 7–12. 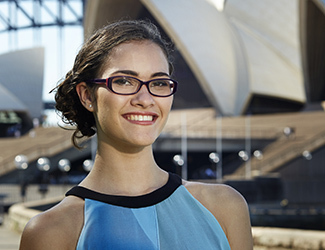 Anastasia hopes to complete her undergraduate degree at The Sydney Conservatorium, and post graduate course at the Opera School or overseas. She hopes to forge a career in opera. With twelve years of singing experience, Chloe has performed with the Vienna Boys Choir, and with her schools senior chamber choir. She has sung in the chorus for Melbourne Opera’s production of La Bohème. She has played lead roles in All Shook Up, The King & I, Mary Poppins, Singing in the Rain and Grease. Chloe would like to study music/opera at university and gain work with a professional company; she is also aiming to perform overseas. Daniel participates in his school choir and vocal group, and has been the lead in the school musical. Outside of school he has performed with the Hunter Kids Sing Choir, Diosounds as a soloist for four years and soloist with Aspire. He is currently completing his Grade 6 AMEB exams. Daniel would like to become a respected opera singer, and dreams of having a career ‘doing what he loves’.